In this article, we’ll be focusing on the base set, which lies at the foundation of all of Prismata. 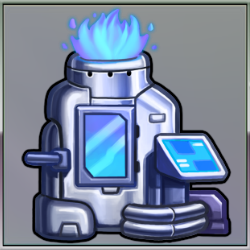 The Prismata base set contains eleven core units, providing a flexible and reliable selection of technologies that you can use as a starting point whenever you begin planning your strategy. The base set units in Prismata allow you to ramp up your economy, invest in technologies, and obtain essential offensive and defensive capabilities that can supplement the rest of your forces. 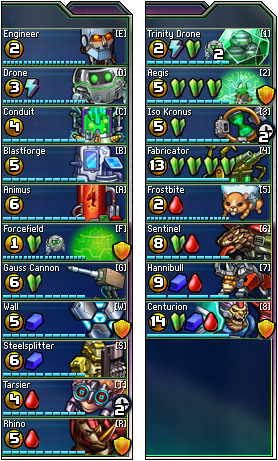 The Prismata Base Set, alongside one example of an 8-unit Random Set. The random units heavily influence each player’s choice of strategy, but the base units form a critical backbone of supplementary forces. 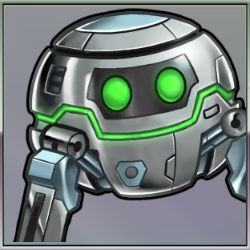 Prismata’s base set units are not particularly strong; indeed, they’re deliberately balanced to be a bit weak, just as a small nudge of encouragement to players, pushing them toward the sharper, more tactical units found in the random sets. But in times of desperation, you’ll come to rely on the base set units—the stalwart, dependable forces that are always there when you need them. Let’s take a look at each of the base set units. Remember, you’ll be seeing these every game, so learning to master their abilities and strategies is crucial. The Drone is the celebrated result of the Zenith military’s programmable nano-fabrication megaproject, requiring decades of intense research and development. The results speak for themselves: the Drone is a lightweight, portable, easy-to-deploy automaton that can rapidly fabricate masses of programmable gold nano-orbs. 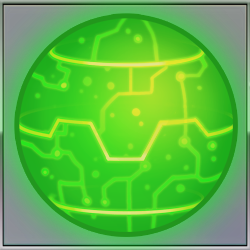 Known to the scientific community as “AuRbs” (after the Rubidium Auride nano-matrix they’re created from), these gold orbs can automatically assemble themselves into a variety of battlefield-ready structures and robotic units, making the Drone one of the key players in every battle fought since their introduction. When entering combat, the standard protocol is to unleash six or seven Drones as an initial economic squadron. The gold produced by these Drones can be used to fabricate all kinds of additional units, including powerful attackers, robust defenders, advanced technologies, and even more Drones. Unspent gold can be stored for future use, allowing you to save up for a massive purchase that could turn the tide of battle. As gold is a required ingredient in the production of almost every unit available, you’ll want to ensure you get plenty of Drones to support whatever strategy you have in mind. Drones can also be commanded to block whenever the need arises, though you usually won’t want to as Drones themselves are quite weak, often being the first target whenever your opponent breaches your defenses. 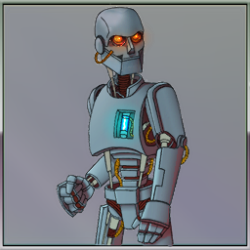 The Engineer-class automaton was developed by The Alliance as a standardized robotic laborer, mostly employed in civil construction and maintenance projects. Its Energy-production capabilities led it to be adopted later for battlefield use. 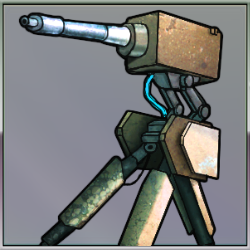 Though unarmed, the Engineer’s low cost and light defensive capabilities make it a useful part of any force. During combat, two Engineers are always part of your primary pack of forces initially deployed to the battlefield. In addition to producing the Energy required for building Drones, Engineers can also serve as your earliest blockers if you don’t build any other defense in time. 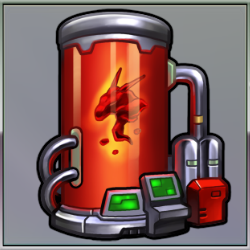 Engineers can even be purchased purely for defense later in battle, but there are often better options available. Abandoned by most branches of the military as unnecessary during peacetime, the Conduit employs powerful electrochemical technology to grow crystalline Gaussite—a dangerous, but powerful material that has been banned from all major urban centers on Beacon due to its high levels of toxicity and reactivity. Gaussite crystals, or green as they are known among Alliance research scientists, are used as a highly concentrated and powerful fuel source for many advanced and mysterious high-tech cybernetic technologies. The Conduit is one of the most useful technologies you’ll consider in battle. It’s cheap enough to be bought early and the Gaussite it produces can be stored. This provides you with immense production flexibility—Gaussite can either be spent gradually, or stockpiled and spent all at once for a sudden all-in attack. Because of their powerful defensive shielding, Conduits and other units in the green branch of technology are among the beefiest units available. However, they are Fragile—they take permanent damage when attacked, as their shields cannot recharge. As Drones facilitated the rapid on-site fabrication of battle-ready technologies, demand grew for a method of on-site construction for the Zenith military’s most prized possessions: their heavily armored robotic mechs, artillery, and automated defenses. The core problem was that Behemium—a strength-enhancing alloy additive and key component of Zenith mechatronics—broke down rapidly when stored or transported. The Blastforge was the answer, as it brought the production of Behemium to the front lines, where it could immediately be used before decaying to fortify and enhance mechanical units during their construction. 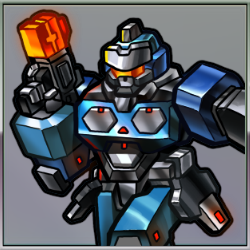 Many of the toughest units in Prismata are produced with Behemium, or blue as it’s commonly dubbed by the Zenith military. The key to defense is absorbing damage, and units on the blue branch of technology do this best, as they have fairly high amounts of health and suffer no permanent injury when attacked for less than lethal damage. Blue units also have the most flexibility in how much they attack for; many of them can stay back and defend if their attack isn’t needed. The magnum opus of Tauren Prime’s elite biological research teams, the Animus is a battle-ready biotechnology powerhouse. The Animus synthesizes Replicase—a programmable biomolecule capable of rapidly self-assembling into a variety of tissues, organs, and even entire organisms. As with the development of Drone-based nanofabrication, advancements in the field of replicase-based tissue generation have led to incredible battlefield technologies—in this case, powerful bioweapons that often outperform comparable mechanical or cybernetic technologies. Unlike the Conduit and Blastforge, the Animus produces two units of Replicase (or red, as it has been nicknamed by Tauren Prime biologists) per turn, doubling your unit production. A swarm of red units can be built up quickly, and they hit hard. The downside is that red technologies usually have low health, like the Animus itself. However, red units work well together, and you can often muster a defense based on sheer numbers. Another noteworthy drawback of the Animus is that the Replicase it produces must be used immediately, or it rapidly disintegrates, becoming useless. Developed as an emergency defense system for remote mining operations, the Forcefield is a bizarre technology. 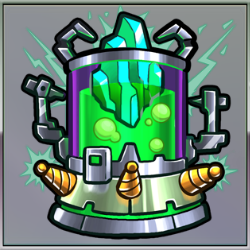 By cannibalizing a drone, a tough shield can be deployed to defend other, more valuable units. The Forcefield was quickly adopted as a standard battlefield technology as soon as its usefulness became widely known. In battle, Drones are most valuable early on, when production is still ramping up. However, as a confrontation reaches its later stages, Drones become far less useful in a struggle to finish off the opponent as fast as possible. 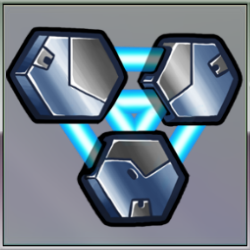 In this situation, the Forcefield is the perfect unit for upgrading your Drones into defense for the remainder of your forces, helping to squeeze the most possible value out of your Drones late in a battle. The Gauss Cannon was designed as a standard, all-purpose Gaussite-powered cybernetic weapon. A resilient attacker with a relentless weapon and tough shielding, Gauss Cannons can be difficult for any opponent to deal with. Gauss Cannons and similar weapons have fallen out of favour due to their use of toxic Gaussite as a fuel, but are still commonly used in remote locations and on unmanned, remotely-piloted missions. With a whopping five health, Gauss Cannons are the sturdiest attacker in the base set. A huge pile of Gauss Cannons can be literally impossible to kill if your opponent has a limited amount of attack. However, Gauss Cannons are fairly expensive, so it takes a while to accumulate a lot of them, leaving your opponent time to counterattack. Not actually a stationary barrier but a fully-automated mobile defense system, Behemium-infused Walls are the quintessential defender in the Zenith military’s arsenal. They can be constructed extremely rapidly, and their tough armor allows them to withstand volley after volley of enemy attacks. Walls are frequently erected early on in a battle for their ability to continuously absorb one or two damage worth of attack without suffering any permanent injury. In the later phases of battle, Walls are a cost-efficient meat-shield, useful for protecting Drones and other more vulnerable forces. If you find yourself needing to defend against repeated enemy attacks for a long time, the best option may be to continually construct more Walls as others are destroyed. Like Forcefields, Walls are also prompt, meaning that they can defend immediately after being purchased. The Steelsplitter-class armored mech is a staple of the Zenith military force. A robust and adaptable jack-of-all-trades, the Steelsplitter combines light offensive power with the defensive capabilities of a Wall. Designed for versatility, the Steelsplitter can attack for one damage, or serve as a three-health blocker, although it cannot do both simultaneously. Steelsplitters are more expensive than Walls, Gauss Cannons, or Tarsiers, making them an inefficient choice if you simply want a pure attacker or pure defender. Steelsplitters are at their best when flexibility is important. Their ability to attack opponents early on, but switch to a blocking role when you’re scrambling for defense, can often turn the tide of battle. They can also switch back to an attacking role at a moment’s notice, which can be useful in situations where you desperately need just a few more points of attack to breach the enemy. As advancements in replicase-based biotechnology progressed, something remarkable happened: the cost of biologically-augmented weapons systems dropped below those of strictly mechanical ones. This spawned the development of battlefield-ready bioweapons like the Tarsier, whose mobility and aiming systems are powered by muscle tissue and a motor cortex rather than hydraulics and a silicon-based computer system. Cheap and deadly, the Tarsier possesses a custom-engineered neocortex that feels no pain, is unafraid of death, and responds obediently to instruction. Tarsiers are the most cost-efficient attacker in the base set, and can be pumped two-at-a-time from a single Animus, meaning you can amass a large force of them for a very low cost. 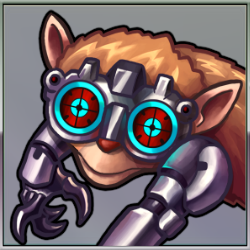 However, Tarsiers have no defensive capabilities at all, and with a single point of health, they’re obvious targets for your opponent during a breach of your defenses. If your primary offense is a pack of Tarsiers, you’ll want to commit as many resources as necessary to defending them, even sacrificing drones if necessary. Tarsiers also take a turn longer to construct than most other units, so plan accordingly. Efforts to make cost-effective defenses using replicase-based engineering often fell flat. Despite the strength of chitin, nacre, silk, and other materials of biological origin, their strength-to-cost ratio never approached that of Behemium-enhanced metallic armor. Nonetheless, defensive bioweapons like the Rhino have found use on the battlefield in situations where Behemium is less available. One of the key roles of the Rhino is that of a prompt defender that can support and protect Tarsiers and other offensive units without the need for a Blastforge. 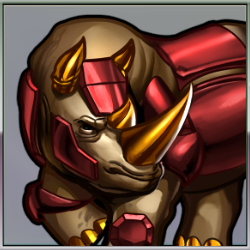 Rhinos themselves also possess weak attacking capabilities, though their limited stamina restricts them to delivering only two volleys of attack, after which their role is reduced to that of a passive defender like the Wall. The Rhino’s ability to block right away and attack immediately afterwards makes them a valuable tool when trying to seize the initiative away from an opponent.